Last year the St. Patrick’s Day festival was in celebration to mark the 250th anniversary of the failed slave rebellion on March 17, 1768, when authorities forecasted that “over 7,000 people will flock the island for the commemoration.” The actual arrival numbers were disputed eventually but there was no hold back on touting the revenue that resulted, especially when wooing Government to put more into the event. 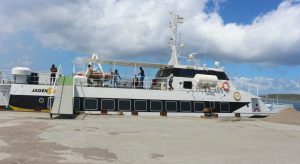 The Access Division had arranged for the passengers who had been stuck in Antigua since high seas caused cancellation of the ferry service on Sunday, 4th to travel down and dock at Port Plymouth. But things went awry when that plan failed because of the timing. 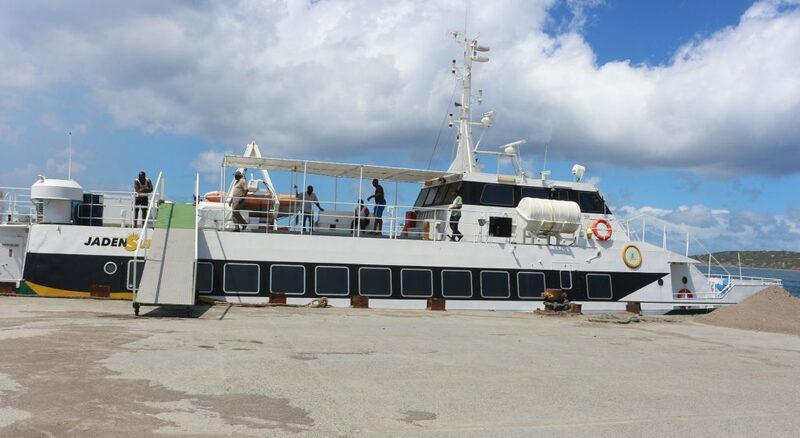 The ferry was unable to dock and after checking the situation at Little Bay which at first seemed calm, the sea again turned up and forced the ferry to return to Antigua with a reported number of 114 passengers. This year, in anticipation of the known March conditions, we received the following information provided from a release from the DMCA on the ferry, captioned, “Ferry Does Test Run at Plymouth Jetty”. It is uncertain what media witnessed if any, but independent media was either ignored as had been attempted prior, or was just not informed of the event due to take place. So, according to the report from the DMCA, the MV Jaden Sun ferry successfully docked at Port Plymouth in Zone V on Wednesday, February 27th, 2019, the following being information as provided. According to Senior Disaster Management Coordinator at the Disaster Management Coordination Agency (DMCA), Astrid Wade, the ferry berthing at the Plymouth Jetty was to test the agency’s contingency plan for the docking of the ferry in the event of rough seas at Little Bay during Montserrat’s hosting of the 2019 St Patrick’s Festival in March. 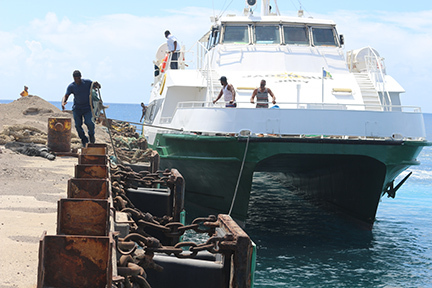 He said the exercise also tested putting on fenders on the jetty to mitigate against any damage to the MV Jaden Sun. The Senior Disaster Coordinator confirmed that a disembarkation and embarkation gangway was placed on the ferry to test the safe exit of passengers getting on and off the ferry. The exercise today led by the DMCA involved several key agencies on island namely the Montserrat Port Authority, Royal Montserrat Police Service, Montserrat Volcano Observatory (MVO), Montserrat Tourist Board (MTB), Access Division, Montserrat Customs and Revenue Service (MCRS) and Integrated Border Security (IBS) to ensure successful docking of the ferry, MV Jaden Sun, in the event circumstances warrant the use of the Plymouth facility if Little Bay is deemed unsuitable as a result unfavourable sea conditions. 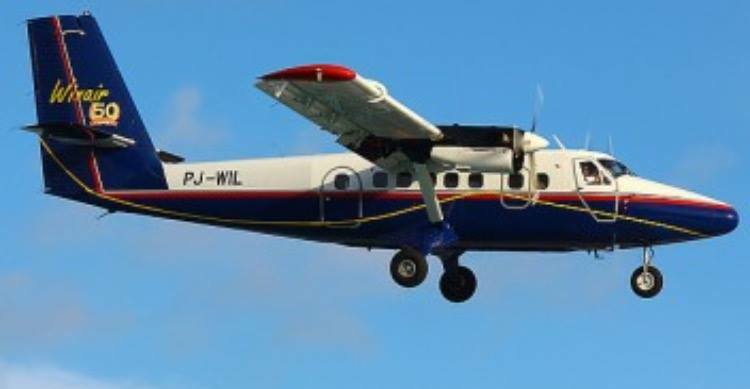 As part of its St Patrick’s preparations and contingency planning, for such eventualities as experienced over the years, the Access Division, within the Office of the Premier, is encouraging additional support due to the level of demand outlined by customers for both air and sea travel. The ferry service has increased its initial schedule from a six-day to a seven-day schedule for a two-week period surrounding the St Patrick’s festival. The service has seen a number of additional adjustments to better cater for the travelling public. Customers will be able to check and book via the live ferry service schedule online at www.ferry.ms. The ferry will run every day from the 5th March to the 24th March except on Sunday 17th March, when it will be hosting Scriber’s, “Round the island adventure tour”. 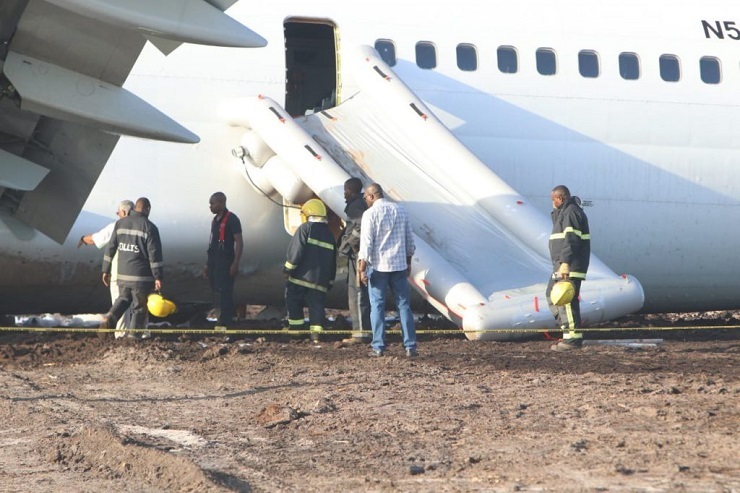 Air services will also see additional flights due to increased customer demand. 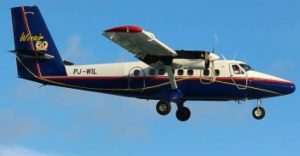 Both regular airline operators Fly Montserrat and SVG (ABM)Air have increased their daily flights. Some additional support will be provided by WinAir on selected days, during the period March 5th to 21st. Customers can check and book on each Operator’s website for available flights within the March period. 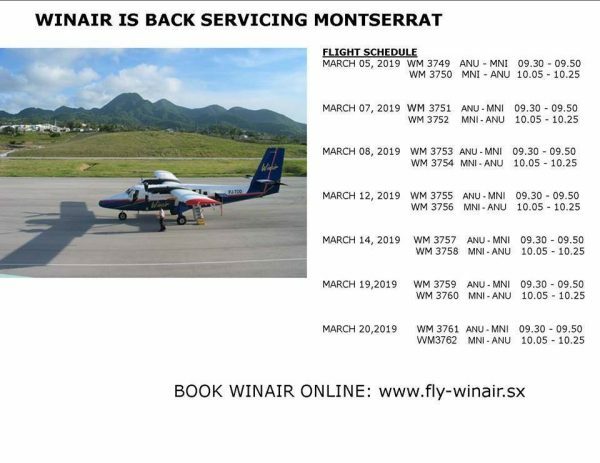 This new flight arrangement may be coming somewhat late to serve as a true test of how beneficial it might be for travelers to, and for Montserrat. The decision, we have been reliably informed was made months ago, may even be over a year. 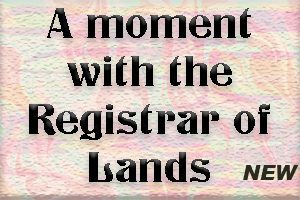 However, attempts to block this development is a matter that raises its head to higher and in ways to devious behaviour by some who seek glory for themselves at the expense of Montserrat. Such an option may be useful for those still trying to make bookings to fly in for St Patrick’s Festival. 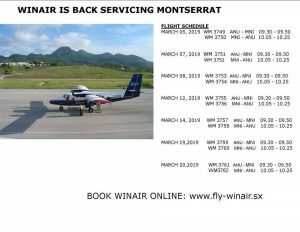 Here is another old but new option on WINAIR – back for a few select dates in March. The first scheduled flight in between Antigua and Montserrat is Tuesday, March 5. The final scheduled flight is Wednesday, March 20, 2019. The access division provides the following for reservations – book online at www.fly-winair.sx . This will be a setback for tourists on the Windstar Vessel due to arrive on Tuesday, Crafters, and especially taxi drivers who according to DiscoverMNI were urged to be ready! 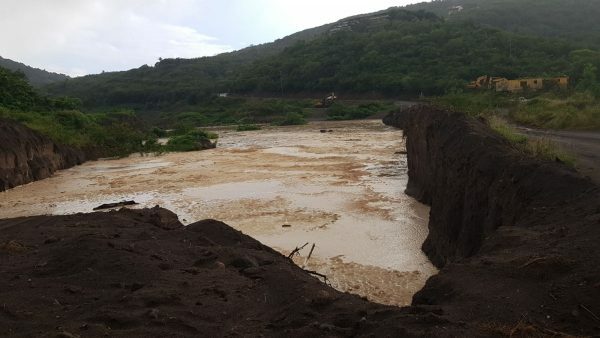 The Disaster Management Coordination Agency (DMCA) in consultation with the Commissioner of the Royal Montserrat Police Service (RMPS) has taken a decision to cease access to areas south of Bel ham Valley. 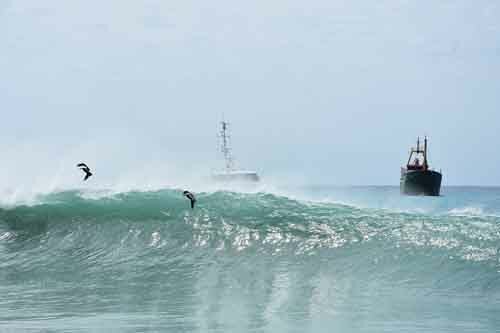 BRIDGETOWN, Barbados, Nov 12, CMC – Caribbean countries were keeping a close eye on a “vigorous” tropical wave east of the Leeward Islands, Monday, as the 2018 Atlantic Hurricane season ends later this month. The Miami-based National Hurricane Centre (NHC) said that the wave, located about 200 miles east of the Leeward Islands – Antigua and Barbuda, Montserrat, St. Kitts-Nevis, Anguilla –is producing a large area of disturbed weather over most of the western tropical Atlantic Ocean. 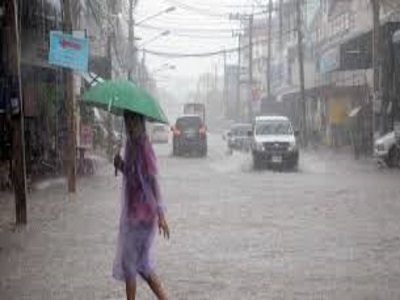 It said shower and thunderstorm activity have increased Monday and that the forecast is for the disturbed weather pattern to pass westerward to west-northwestward passing near the Leeward Islands, Puerto Rico, Hispaniola and the southeastern Bahamas during the next few days. 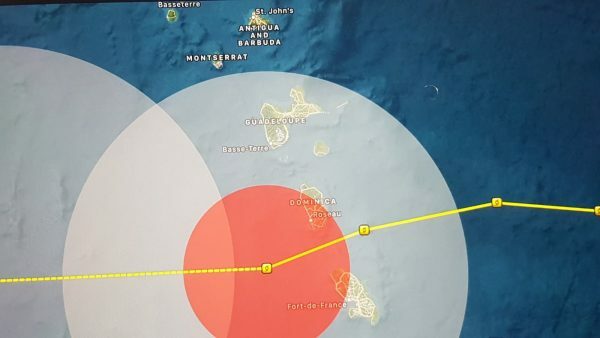 “Interests in these areas should closely monitor the progress of this system,’ the NHC said, noting that there’s a 90 per cent chance of the system developing over the next five days. If it further intensifies into a named storm, it would be called Patty. While Caribbean countries have been spared for most of the 2018 hurricane season, heavy rains in several countries have led to floods, landslides and millions of dollars in damage. GEORGETOWN, Guyana, Friday November 9, 2018 – Ten people were injured this morning when a Fly Jamaica aircraft carrying 120 passengers and eight crew members made an emergency landing at the Cheddi Jagan International Airport (CJIA) in Guyana. 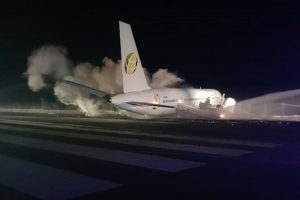 Officials say none of the injuries are life threatening but did not say which of the passengers, who include two infants, were hurt. The passengers – 82 Canadians, 35 Guyanese, one Pakistani, a Trinidadian and an American – along with six crew members from Guyana and two from Jamaica, departed the CJIA at 2:10 a.m. and were heading to Toronto, Canada, when the Boeing 757 plane began experiencing technical difficulties. 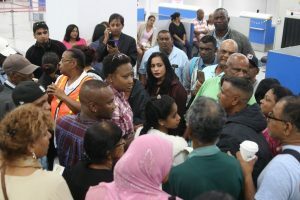 Later in the morning, Chief Medical Officer Dr. Shamdeo Persaud said 10 people with a variety of “expected sorts of injuries” were taken to hospital. “So far, we have five persons who are under investigation further for spinal injuries…They are having further X-rays and so on done,” he said, adding that seven of them were subsequently transferred to the Georgetown Public Hospital because the Diamond Diagnostic Hospital could not handle all of them. Arrangements are being made to fly out the passengers, who were taken to a holding facility after the incident, from tomorrow. The CJIA has been reopened but the Minister of Public Infrastructure David Patterson said travellers should expect some delays. An investigation is being conducted into the incident. 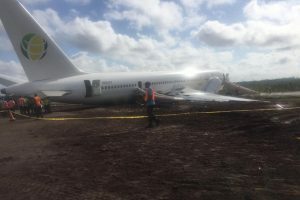 The Guyana Civil Aviation Authority is leading the probe and the United States National Transportation Safety Board, which assists with inquiries under international rules, was notified, officials said. 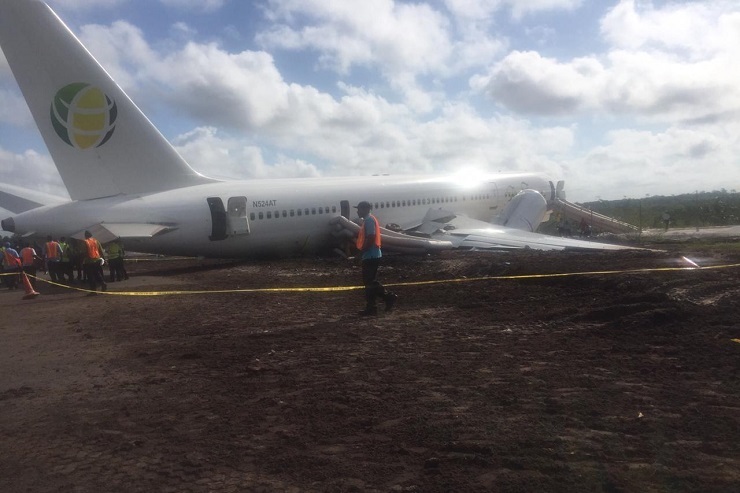 The crash site has been secured by the Guyana Police Force (GPF) and the Guyana Defence Force (GDF). 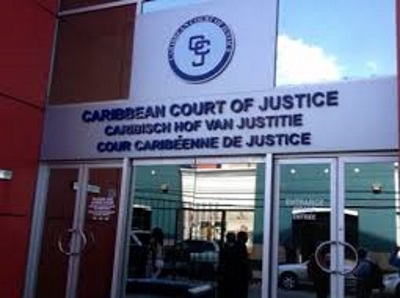 ST. GEORGE’S, Grenada, Sept 26, CMC – The lawyer representing a Grenadian family who claimed they were bullied and humiliated over a false accusation of stealing a mobile phone in Barbados, says the matter is now heading to the Trinidad-based Caribbean Court of Justice (CCJ). Attorney Ruggles Ferguson said that the action will be taken against the state of Barbados and ‘we have applied for what you call special leave to bring the matter in the CCJ. “So the application before the CCJ is for special leave to file the matter in the Caribbean Court of Justice,” he said. In October 2016, five members of the Gilbert family were in Barbados for an appointment with the United States Embassy to have their visas renewed. Having successfully completed their business early, they decided to go to Bridgetown for some shopping and to enjoy each other’s company, since they had never travelled as an entire family before, Tamika Gilbert told the Barbados TODAY publication then. But they said the trip became a nightmare after a store owner accused the young women of stealing her mobile phone. “Confident of their innocence, they offered to have their bags searched by the storeowner, who turned down the offer and said she would check recordings from security cameras. Instead, “an excessive amount of police officers showed up at the scene” and during a heated exchange with the store owner, they were threatened with arrest,” Barbados TODAY reported. They said three members of the family were virtually stripped of their dignity by the officers, who shouted at them, insulted them, prevented them from speaking to other family members, brought them water three hours after they had made a request, and had one sister use the toilet with the door opened and an officer standing guard. However, Tamika gilbert said that the most humiliating experience was when they were strip-searched. Ferguson, the former president of the Grenada Bar Association, said that a matter had been filed in the Barbados courts on behalf of one of the family members “who lives in Barbados and was also subjected to that treatment. “We have taken that matter in the local courts in Barbados. That matter is ongoing. But the ones involving those resident in Grenada we decided to bring it to the CCJ because in the CCJ we can count on speed<’ said Ferguson, who is also the President of the Organization of Commonwealth Caribbean Bar Associations (OCCBA). The CCJ is Barbados’ final court. 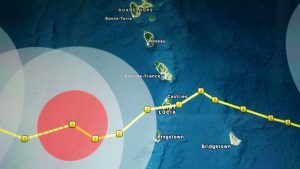 Following warnings of caution, Tropical Storm Kirk which was due to pass well south of Montserrat, at 7.00 a.m., overnight had taken a dip to the south as it continued its westward journey. It was located Latitude: 13.5, Longitude:- 63, still with a windspeed of 50 mph and heading west, traveling 12 mph. The reported forecast from Storm Tracks for TS Kirk as it moves into the middle of the Caribbean Sea is to continue on its westerly course at 50 mph. Cabinet has taken a decision to close all schools and government offices at 12 noon today for the passage of Tropical Storm Isaac. The private sector is also encouraged to close their businesses at 12 noon today as well, especially those with parents who have school-aged children. 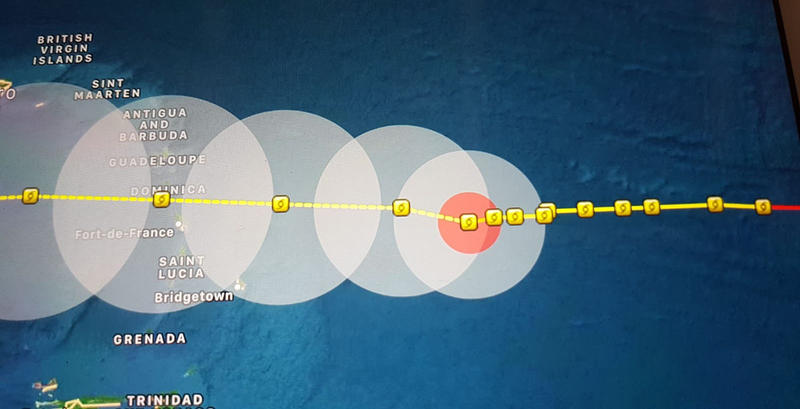 According to Major Alvin Ryan, Interim Director at the Disaster Management Coordination Agency (DMCA), although, tropical storm conditions on Montserrat are not expected to get significantly worst, they are not anticipated to improve before 3 pm today and significant rainfall activity is forecast for this afternoon. Therefore, Mr Ryan says to err on the side of caution, all schools, government offices be closed at mid-day and the private sector is encouraged to do likewise. As The Montserrat Reporter is not obliged to carry ‘notices’ provided to us merely as information with no request for ‘paid’ publication which then obliges us, we cannot help but editorialise on what we consider to be poor decisions made without due regard for the economic status of the country. We of course regard this merely as a Notice to us, not otherwise, but find it aggravating. Oh for several reasons, not all mentioned here! The very nature of the NDPRAC statement outlining the status of TS (Tropical Storm) Isaac suggests “to err on the side of caution’ is very questionable as to the understanding of the information available from all sorts of sources. Along with what they are saying, for those concerned a constant look at the www.themontserratreporter.com does provide simple guide and information to the weather status affecting Montserrat from www.AccuWeather.com. We use also additional sources. There you will find hourly weather situations. E.g. Today, unlike earlier in the forecasts which promised possible thunderstorms etc. it shows showers and cloudy conditions from time to time into the evening. Tomorrow a national day of mourning , the passing of former CM Bertrand Osborne – is a holiday. The question when all other circumstances, including ‘official’ forecasts should this encourage our government to take a decision to close down the country for the rest of the day, when the possible worst would have past. (See diagrams here). TS Isaac – Image 2018-09-13 at 12.37.52 PM – (See Montserrat outside the ball of activity! These decisions are so symptomatic of the miserable state Montserrat has evolved into the over the past several years. Unfortunately, we see this situation as continuing for some time, throughout this decade, already too long especially as one listens to the ongoing discussions regarding an inquiry invoked by the UK Foreign Affairs Committee (FAC) into the UK’s future relationship with the OT’s. We will later inform of some 11-year-olds opinion on the matter. And also the ill-advised and misguided, unprepared and bad futuristic calls being made these days. 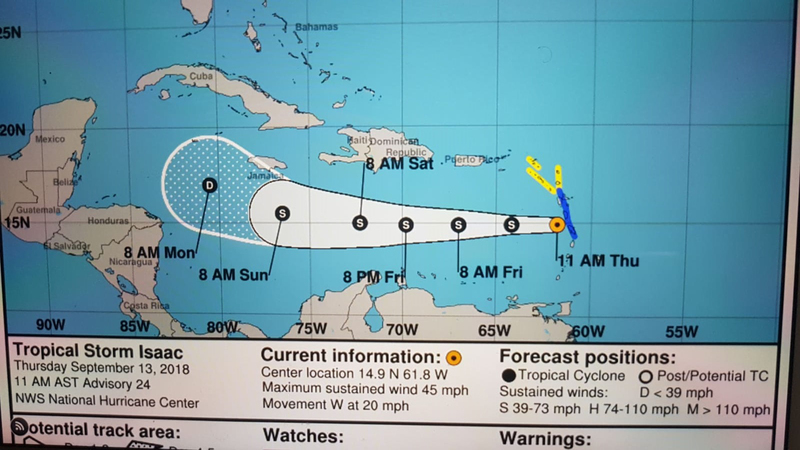 The National Disaster Preparedness Response Advisory Committee (NDPRAC) met today, Tuesday September 11th, 2018 to review Montserrat’s preparedness for Tropical Storm Isaac, which is expected to approach the Lesser Antilles late on Wednesday night, (chain of Islands from Grenada north to the BVI). Meanwhile, NDPRAC NDPRAC continues to advise that all residents and visitors secure their properties, businesses and livestock in preparation for the impending storm. A further update is expected later today when from sources, it is expected they will advise a further downgrading of the storm, but no doubt plans except for schools, government buildings etc. will be firmly determined. Meanwhile, funeral and burial plans for Hon. Bertrand Osborne former Chief Minister have been postponed to Saturday. BRIDGETOWN, Barbados, Sept 11, CMC – Hurricane Isaac was inching its way towards the Lesser Antilles on Tuesday after losing steam and downgraded to a strong tropical storm over the Central tropical Atlantic. The Miami-based National Hurricane Centre (NHC) said that the storm, located near latitude 14.6 North, longitude 48.1 West, has sustained maximum winds of 70 miles per hour (mph) and was about 880 miles east of the Lesser Antilles. 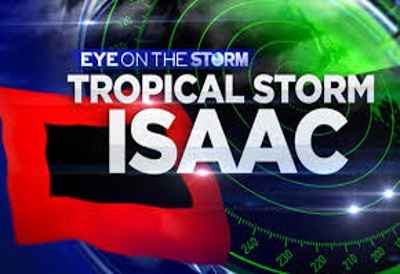 “Isaac is moving towards the west near 14 mph. This general motion is expected to continue through the end of the week. 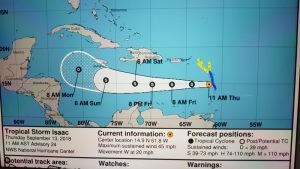 On the forecast track, Isaac should move across the Lesser Antilles and into the eastern Caribbean Sea on Thursday,” the NHC said.